"Project Dance was thrilled to have Rob host our huge gala fundraiser 'Project Pink'. The event raised $63,560.32 for the National Breast Cancer Foundation. Rob played a big part in helping us reach this tally encouraging donations and hosting auctions and raffles... Our audience of over 2000 spectators thought Rob was the perfect host for our event. He did a great job interviewing celebrities like Delta Goodrem and important guests from the charity. It is evident that he is part of the arts community as he has a great rapport with industry professionals and always asks them the right questions. 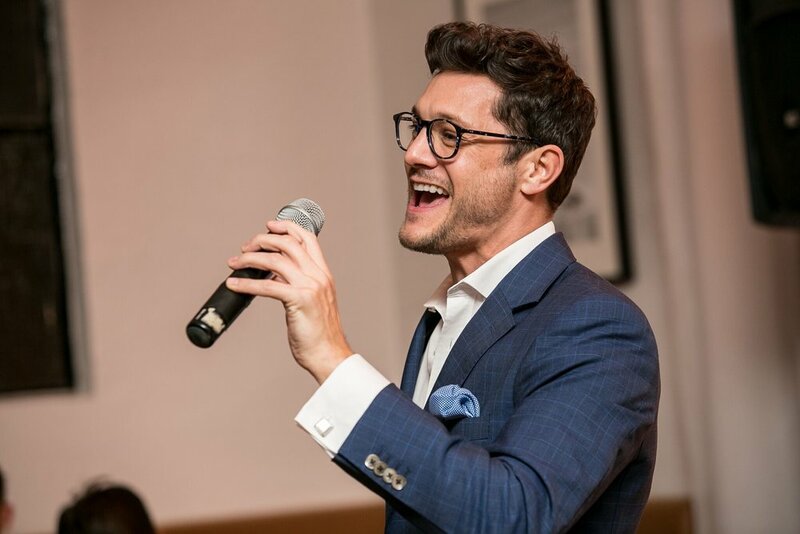 The crowd were thrilled when Rob sang a surprise song for the guests and were particularly impressed by the way he mingled with the crowd whilst singing. Rob will always be the number one choice for our association for further events". "Rob was outstanding throughout the entire event. He kept the audience and the participants thoroughly entertained. He was witty and spontaneous and knew exactly what to say and when. Everybody had a fantastic time. This event would definitely have not been a success without him and we would definitely consider him for any future events". "Rob’s a charming guy, thoroughly professional, and a great sport... He brought the house down! I would unhesitatingly recommend Rob. Top Bloke!"